Leonard Cohen is a legendary poet, singer and songwriter from Canada. This 2005 documentary interviews Cohen in his Los Angeles home about his life. The interview is mixed with old footage from Cohen’s own archives, as well as performances of Cohen songs by a number of contemporary artists. The film was released initially at the Toronto International Film Festival in September 2005. It would be released in the USA on June 21, 2006, and in the UK on November 24, 2006. The majority of the music in the film is taken from a single tribute concert held to honor Cohen held at the Sydney Opera House in Sydney Australia in January 2005. That concert makes up the majority of the film. The music used on the soundtrack is taken from an earlier performance of the tribute held in Brighton UK in 2004. 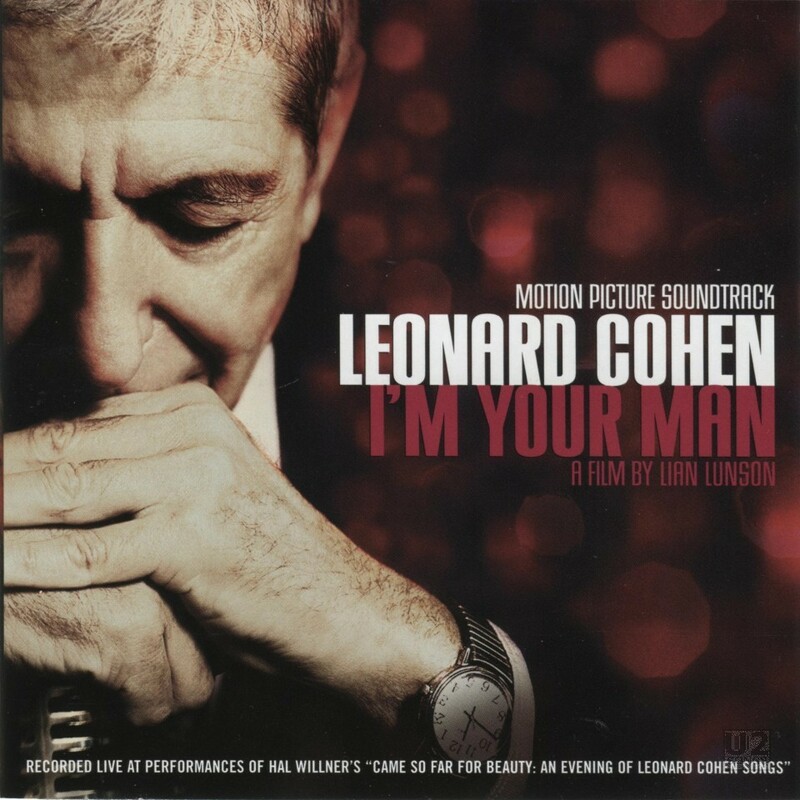 The end of the film, and the accompanying soundtrack includes a performance by Leonard Cohen filmed specifically for the film. The performance is Cohen performing onstage with U2. The performance was filmed on May 19, 2005 at the Slipper Room in New York City. The Slipper Room functions mainly as a burlesque club. The majority of the performance features Cohen on vocals but Bono does perform one verse of the song. The director of the film, Lian Lunson also took time out from promotion of “Leonard Cohen: I’m Your Man” at the Toronto International Film Festival to film U2’s September 16, 2005 concert in Toronto Ontario, appearing on stage with the band during the encore. The song was also included on the 2007 CD single, “Window in the Skies”. The video of the performance of the song was also included on a DVD single issued for “Window in the Skies”. Tower of Song: Featuring Leonard Cohen and U2. Anjani – Background vocals. Executive produced by Lian Lunson and Edge. Recorded and mixed by Robbie Adams at the Slipper Room, New York City, May 19, 2005. Background vocals recorded by Ed Sanders at Seventh Street Sound.